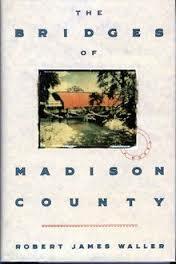 Madison County is proud to be the setting of a best-selling novel, which became so popular that it inspired a movie and a Broadway musical! In 1992 Warner Books published Robert James Waller’s first novel, The Bridges of Madison County. The story takes place in Madison County, Iowa, in 1965. Robert Kincaid has come to Madison County, Iowa to take pictures of the Roseman and Holliwell Covered Bridges. He is a professional photographer on assignment to National Geographic magazine and is lost. Pulling his green pickup into the driveway of a well-kept farmhouse, he stops to ask directions. Francesca Johnson is at home, alone, while her husband and two children are at the Illinois State Fair. Francesca is an Italian war bride transplanted to Winterset, Iowa following her marriage to Richard Johnson, and longs for the dreams of travel and excitement that she had as a girl. She and Robert Kincaid discover they have much in common and begin an intense love affair during his 4-day stay in Madison County – a time they both hold close as they age and come to terms with their lives. The novel was eventually translated into 25 languages and sold more than 12 million copies worldwide. It was on the New York Times Best Seller list for three years (No. 1 for 83 weeks! ), and topped “Gone with the Wind” in 1995 as the best-selling fiction book of all time. Starring Clint Eastwood and Meryl Streep, the Hollywood adaptation of Waller’s novel was filmed on location in Madison County and premiered in 1995. The movie was directed by Clint Eastwood, produced by Eastwood and Kathleen Kennedy, and associate produced by Tom Rooker and Michael Maurer. A reconstructed farmhouse in northeast Madison County provided the key set, with additional scenes shot in the towns of Winterset and Adel, along with the actual Roseman and Holliwell Covered Bridges. 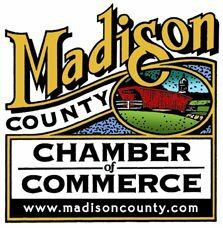 Locations were coordinated with the full cooperation of the Iowa Film Commission, Adel and Madison County Chambers of Commerce, and the Madison County Covered Bridge Preservation Society. 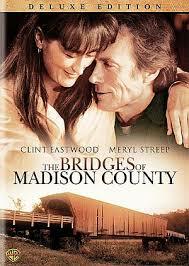 The Bridges of Madison County was nominated for an Academy Award, for Meryl Streep as Best Actress. It was nominated for 15 awards overall, including the Golden Globe and Screen Actors Guild Awards, and won six. In February of 2014, this romantic and well-known story became a Broadway Musical. Four-time Tony® nominee Kelly O’Hara (of Broadway’s Nice Work if You Can Get it, The Pajama Game, and Light in the Piazza) starred as Francesca Johnson and Steven Pasquale (of TV’s “Rescue Me” and “Six Feet Under”) as Robert Kincaid. The production was at the Gerald Schoenfeld Theater on West 45th St. in the Theater District of Manhattan in New York City. 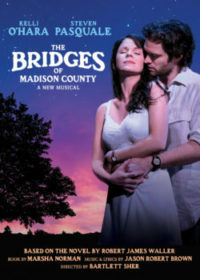 The Bridges of Madison County musical features a beautiful score by Tony Award®-winning composer Jason Robert Brown (Parade, The Last Five Years) and was directed by two-time Tony® winner Bartlett Sher (South Pacific, The Light in the Piazza). Brown won a Tony® Award for Best Original Score, and Best Orchestration.